White House-backed Brian Kemp leveraged the endorsement of President Donald Trump into wide electoral margins in Georgia Tuesday and is projected to win the state's Republican gubernatorial runoff. He will face Democrat Stacey Abrams in November, as she bids to become the first African-American woman elected governor in the United States. The head-to-head vote between Kemp, the Georgia secretary of state, and Lt. Gov. Casey Cagle came two weeks after secretly recorded audio tapes began to leak to the media, rocking Cagle's campaign. In one, Cagle is heard explaining his political motivations for backing "bad public policy." Soon after, his opponent released audio of Cagle candidly saying the primary had become "who had the biggest gun, who had the biggest truck and who could be the craziest." Cagle, endorsed by Gov. Nathan Deal, framed himself as a conservative standard-bearer while Kemp touted his willingness to say politically incorrect things and cap them off with "Yep, I just said that." The ugly gubernatorial nomination battle between the two Republican candidates in Georgia has kept the spotlight on a state that hasn't been considered swing territory for over a decade. 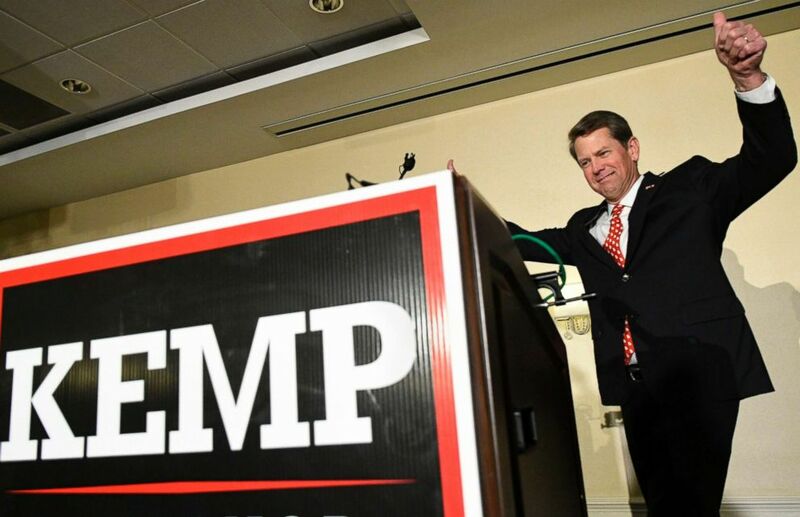 Georgia Secretary of State Brian Kemp, Republican primary candidate for governor approaches the podium to address supporters during an election night results party, May 22, 2018, in Athens, Ga.
Cagle said the tapes were taken out of context. 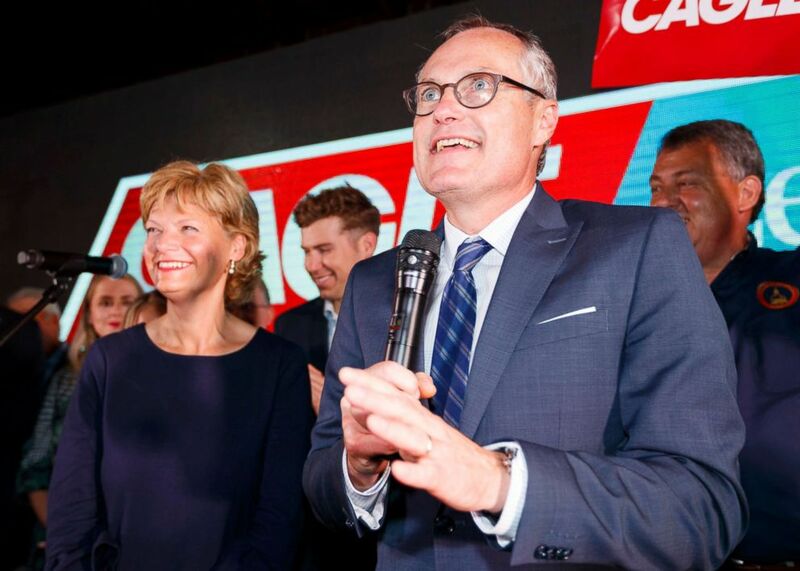 And as for losing the endorsement of the president, "the fact is the President doesn’t know my opponent at all," Cagle wrote on his website Monday. Republican candidate for Georgia Gov. Casey Cagle speaks to his supporters as he enters a runoff with Brian Kemp during an election-night watch party in Gainesville, Ga., May 22, 2018. "The President decided to do this because some Washington insiders who have weaseled their way into his ear convinced him to make a power play. Why? So they’ll have a Governor who answers to them instead of to Georgians." Cagle entered the runoff as a frontrunner after winning 39 percent of the vote in May's primary to Kemp's 26 percent. 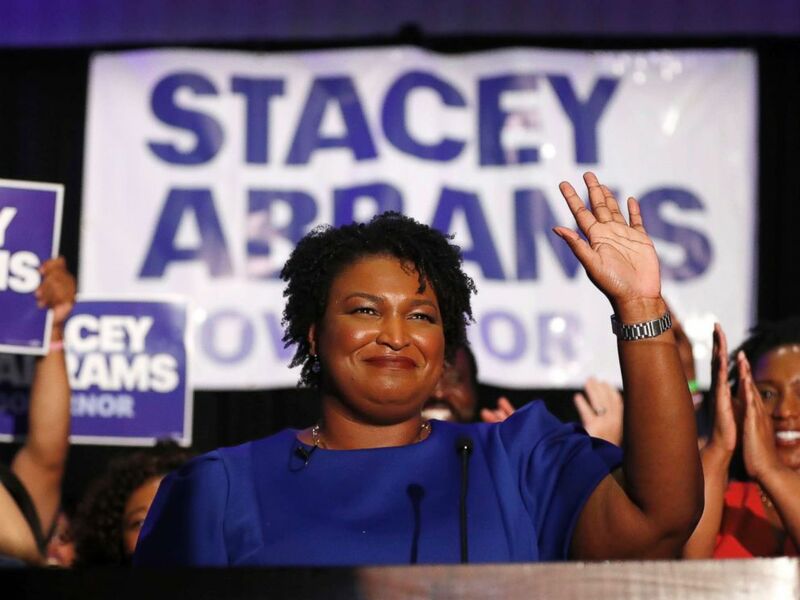 The splash of the GOP nomination fight has possibly created wakes of similar size to that of Abrams' bid to become the first African-American woman elected governor in the United States. The former Democratic leader in the Georgia House of Representatives won the party's gubernatorial nod in May's primary. Abrams faces a significant hurdle in attempting to flip a state generally seen as deeply conservative outside of its metropolitan areas. But she's drawn the outspoken support of Democratic heavyweights such as Sen. Cory Booker, Sen. Kamala Harris and Sen. Bernie Sanders. Elsewhere in Georgia on Tuesday, Gun control activist Lucy McBath, whose teenage son was killed in 2012 in an act of gun violence, won the Democratic nomination for Georgia's 6th Congressional District. McBath beat fellow Democrat and businessman Kevin Abel by a narrow 2,000 votes for their party's nomination in the same district that was the site of a near-upset in a 2017 special election to replace former congressman and Health and Human Services Secretary Tom Price. The upstart Democrat in last year's election, Jon Ossoff, chose not to run again in 2018 after finishing fewer than two percentage points shy of capturing the seat in an 18-candidate race last April. He was later defeated by Republican Karen Handel by a 3.6 point margin in a head-to-head runoff in June 2017. The Republican Price had won his 2016 election by over 23 points.